Telugu star Mahesh Babu has finished shooting for AR Murugadoss' spy thriller Spyder. According to Hindustan times, the major chunk of the film has been shot, with just two songs remaining. The makers will soon move to the post-production stage and work extensively towards bringing in some immaculate VFX. 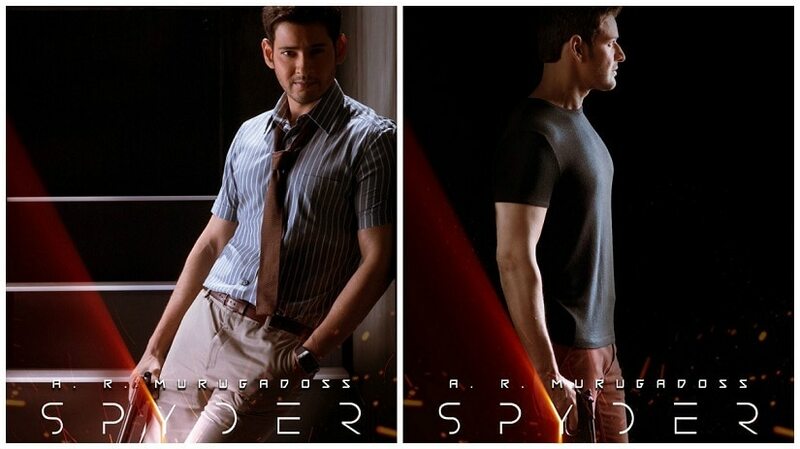 The posters of Spyder. Image from Twitter. Spyder has been constantly generating a lot of curiosity in the viewers after they were treated to some fascinating visuals in the teaser of the film. The teaser features a mechanical spider that crawls up to Babu's shoulder, who then, asks it to keep quiet. The film also stars Rakul Preet Singh and SJ Surya. Spyder is slated to be released this Dusshera on 27 September. With Spyder moving towards the final stage, Babu has started prepping for his next film already. Babu will now be seen in Koratala Siva's Bharat Ae Nenu opposite Kiara Advani, who was last seen in Machine. Babu will be seen in a minister's avatar and actor Sarath Kumar will be playing his father. Babu might be given a makeover for this role. However, makers of the film are still contemplating what look to go ahead with, as per the same HT report.